To me, running is about enjoyment. Getting away from stuff that I don’t want to think about, into nature, moving forward under my own power, and being peaceful and relaxed. So why am I doing it to the extent that it’s making me really tired? Why am I finding that I want to stay in bed just that bit longer? Why am I still going for a run when my muscles ache and I just want to have a nice sit down? The South Downs Way 50 is a race I have never done before and will attempt for the first time this year. It takes place in early April, running from Worthing to Eastbourne on beautiful undulating trails looking down on the sea. With 1750m of elevation, it’s certainly not flat, but it is less hilly than other races I’ve done. I know the Centurion team put on an awesome show on the day too, with outstanding support along the way. As 50 milers go, it’s quite fast with the top few ladies finishing in under 8 hours. To finish a 50 miler in a time that starts with a 7 seems incredible to me but is becoming something I would love to achieve, and I think I can with the training I’ve been logging. 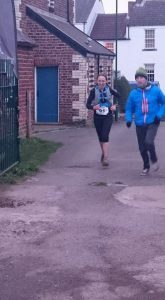 As I’m running my first 24 hour race in June, this race is serving as a gauge for my training, much like the Hardmoors 55 did before the Lakeland 50 last year, but it doesn’t stop me from wanting to do the best I can on the day! Plus, being coached by the current course record holder is something of an incentive to run as well as possible! 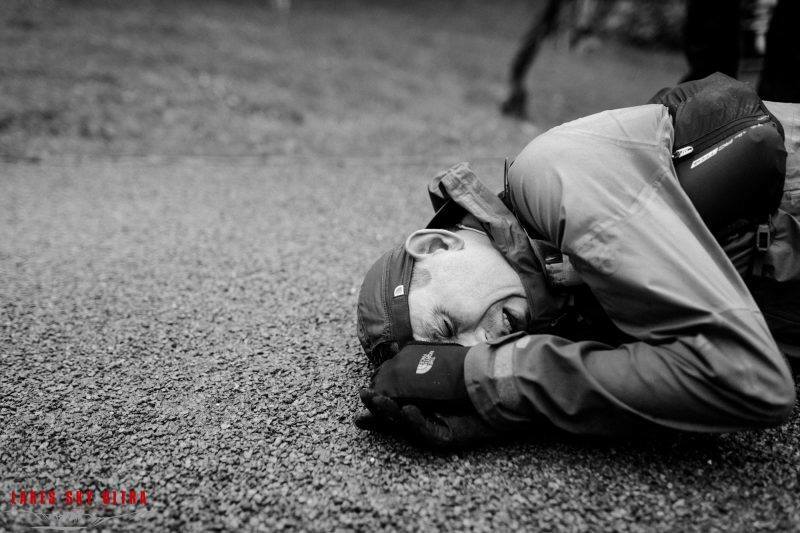 To train for a race like this – or any ultra – you have to work out how to do it in the best way for you. Using a generic plan (is there such a thing for ultras?!) might work for some, but it depends on your definition of what works. For me, and the athletes that Jayson and I coach, working on a personalised basis is the absolute best way to get the most from yourself. And this means listening to what your body is telling you. At the moment, I am putting in some consistently high mileage weeks (for me); running two hard sessions a week; running one long run a week and doing three strength sessions a week, with easy runs interspersed as recovery. No two weeks look exactly the same and everything I’m doing is progressive and specific to the race. I may be biased, but this is the beauty of having a coach: Eddie plans my sessions; I tell her how I’m feeling and that informs how the plan moves on. Yes, I’m feeling tired now, but that’s because I’m loading my body to help it improve. The right kind of stress, in the right amount, at the right time will ultimately make me stronger. So why does stress get such a bad rap? In training, we need to stress our body so that it can adapt and be in a better position to combat that stress when we apply it again. In life – especially in the UK – stress is something entirely different. One of the headline statistics I found on stress in this country was this: 12.5 million working days lost due to stress, anxiety or depression in 2016. Is it just me or is there something inherently wrong with that statement? Why do we focus on how stress affects the economy, instead of how it affects the person? A shocking number of people deal with stress on a daily basis; it’s just the wrong kind. In a culture where we value the worker over the individual, there’s no wonder that the word ‘stress’ is always seen as a negative. Just like in life, in training, stress needs to be balanced with rest. 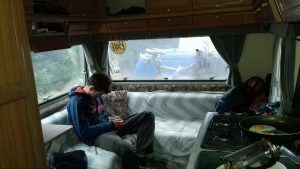 Too much stress and not enough rest equals illness, injury and utter disappointment. Not enough stress and too much rest, and you may not be achieving your potential. 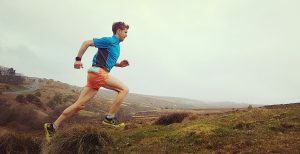 I remember on a long run before the Hardmoors 55 last year, when I was upping the pace in the last few miles, I felt completely spent. I know that I was not moving that quickly, but I was giving it everything because I knew this session was crucial to me being ready, not just physically but mentally too. I knew that if I could do this on race day, with 50 miles in my legs, I would be able to feel satisfied that I had done all I could do. Come race day, after a decent taper, I reached the same stretch as that training run. Easy terrain, downhill then flat for the last couple of miles, I felt like I was steaming it. Anyone that saw me at the end of that race, will tell you that I left nothing in the tank when I finished and it was because I had conditioned my body with the right amount of stress so that it knew the score when the time came. Of course, the tiny, awkward steps off the railway line scuppered my sub 9 hour dream a bit, but what are a few seconds when I knew I had run the best I could? The last few metres of the HM55: the face of pain. Stress can be your best ally if you give it a chance. It all depends on your goals, but if you want to push yourself, to set high targets and work hard to reach them, the right kind of stress is the best way to do it. Forcing yourself to do a session when you are ill or injured just because it’s in the plan is taking things too far though, and will lead to heartbreak one way or another. Learning how to listen to your body and making your health your number one priority is vital. Stress is stress. Whether in training, your job or your personal life, just like cake, too much can be terrible for your health.